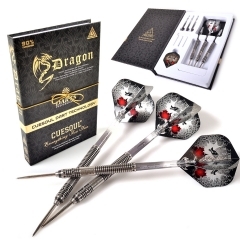 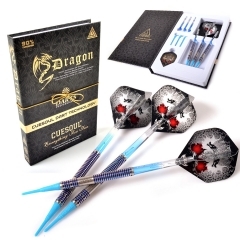 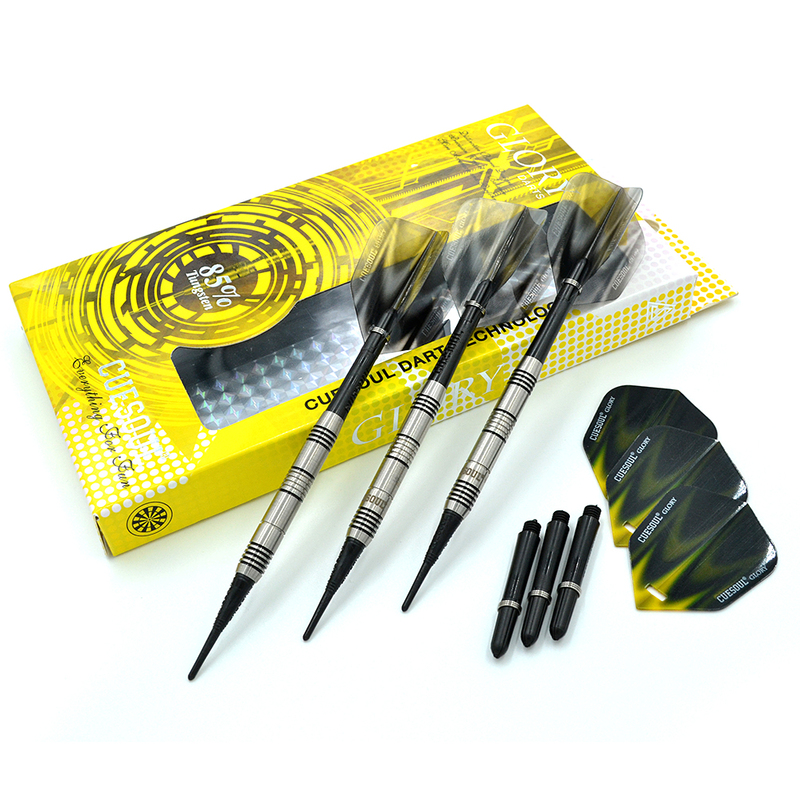 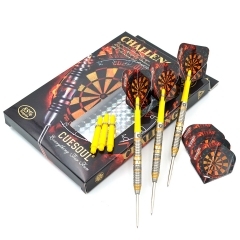 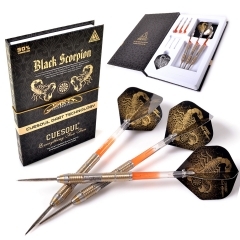 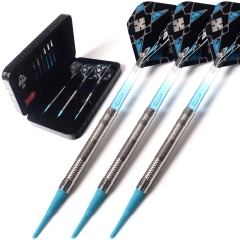 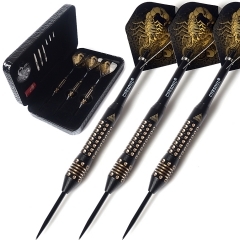 This GLORY series tungsten darts features precision balanced 85% tungsten barrels with distinctive designs to increase accuracy and performance,at affordable price. 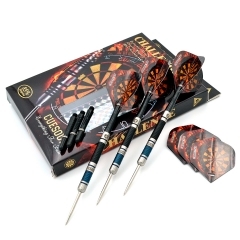 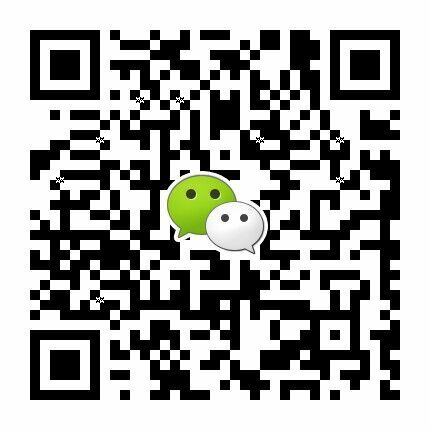 3* 85% Glory Tungsten barrel,well balance combined with Shark Fin grip,black line colored . 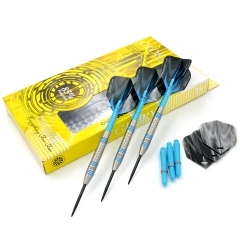 shafts:2BA engraved blue shafts,length 41mm(screw not inlcuded),fit most barrels. 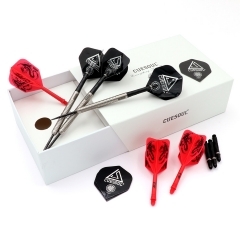 Package with gift display box.